It is tragic that the most blessed book of the Bible is also the one most overlooked or ignored! The mere mention of its name results in fear and apprehension among the uninformed. It intimidates the uninitiated, and many regard it as unfathomable - too difficult to understand. Yet, it is the only book of the Bible that promises a special blessing to the reader! There is only one book of the Bible that has the audacity to declare, in effect, "Read me: I'm special." No other book of the Bible singles itself out in such a manner. Does God keep His promises? Of course! Why not take up His challenge! He guarantees you a special blessing! How was it rendered? It was sign-ified: rendered into signs or sememes. Just as the alphabet is the fundamental unit of written language; phonemes, the fundamental unit of spoken language; pixels, the fundamental unit of an image; sememes are the fundamental units of meaning. In a sense, the entire book is in code; yet, each "code" is explained somewhere within the Word of God. In its 404 verses, there are over 800 allusions from the Old Testament!1If the Book of Revelation seems strange to our eyes and ears, it is simply because we lack sufficient familiarity with the Old Testament! One of the several reasons the Book of Revelation is such a blessing is that, properly pursued, tracking down each of the "codes" or "signs" will prove to be a treasure hunt which will take us into virtually every book of the Bible. Most of them will explain themselves. Many will reserve their charm for the diligent. Another reason the Book is such a blessing is that it will convey a demonstration of the integrity of design of the entire Bible. Everything that begins in Genesis - and that includes practically everything - has its consummation in the Book of Revelation. Every thread is part of the total tapestry; every detail takes its significance from all of the others. One more reason why the Book is such a blessing is that it brings into focus God's entire plan of redemption. It provides the context - the ultimate context - for all that has gone on before. A "jot" or "tittle" are Hebrew equivalents to our "dotting an i" or "crossing a t." This is a call to take the Biblical text seriously. Even a superficial review of the Book reveals its heptadic (sevenfold) structure (see graphic). But this is just the proverbial "tip of the iceberg." There are virtually innumerable "sevens" throughout the Book, many of them obvious, many of them quite subtle, and many of them rather well "hidden." However, the most important part of the Book for us is just two chapters, Chapters 2 and 3: the Seven Letters to Seven Churches. Jesus dictated seven "report cards" that are unquestionably the most relevant and practical part of the Book for you and me. Local: They were real churches with real problems at that time. Admonitory: They were written to all churches for their instruction. They form a paradigm against which all/any churches can be evaluated. Homiletic: They were written for each of us personally. This latest study of the Book of Revelation will reveal some provocative new insights and, as part of our K-Rations (and Berean Online Fellowship) subscription, will begin on June 6, 2005. 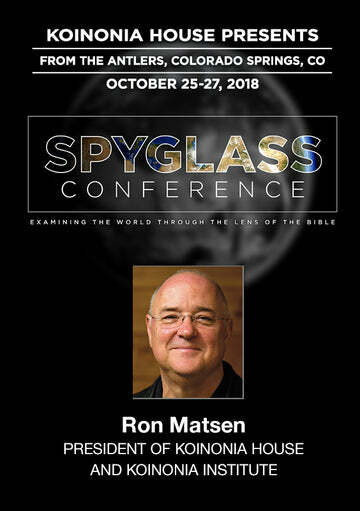 Don't miss out, especially now that you can get your weekly K-Rations on audioCD as well as cassette tape, or simply download it onto your computer or iPod if you are a Berean Online Fellowship subscriber. 1. These are catalogued as Appendix C in our book, Cosmic Codes. May 2005 Personal Update News Journal.